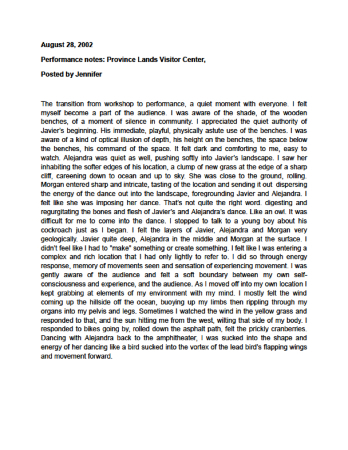 Description: This journal entry describes the experience of watching and then entering the performance at Province Lands Visitor Center. Javier begins, Alejandra joins his "location", Morgan then joins the "location" they create together. Jennifer joins and eventually the full quartet dances together till the end of the performance.